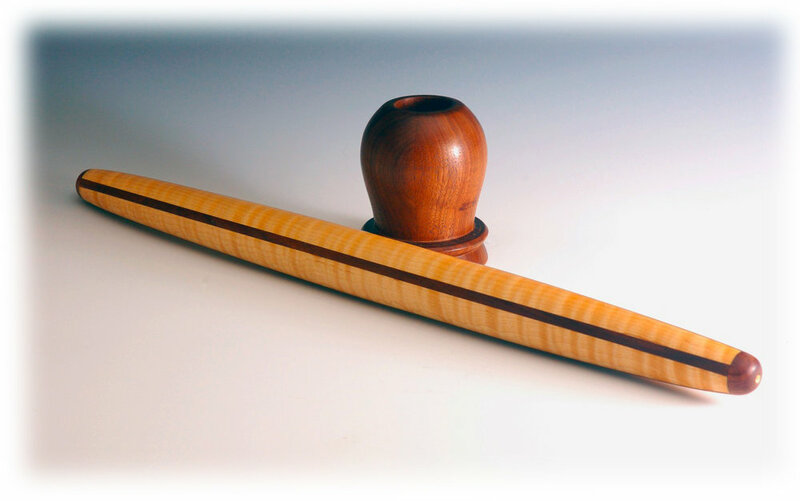 The French Rollers are standard French Style rolling pins. Figuring out how to store a roller has been an interesting journey, with several approaches being tried and rejected. The Roller stand is my idea and design. It came about because these rollers are simply too nice to put away in a drawer, but left on the counter they occupy too much real estate. The stand that holds the roller upright solves the problem nicely, and by weighting them in the base they are made quite stable. These pins are between twenty two and twenty six inches long, are roughly two inches at the center and one inch at the ends. They are long enough to be quite useful and short enough to be agile. All come with a matching base to hold the pin upright on the counter. 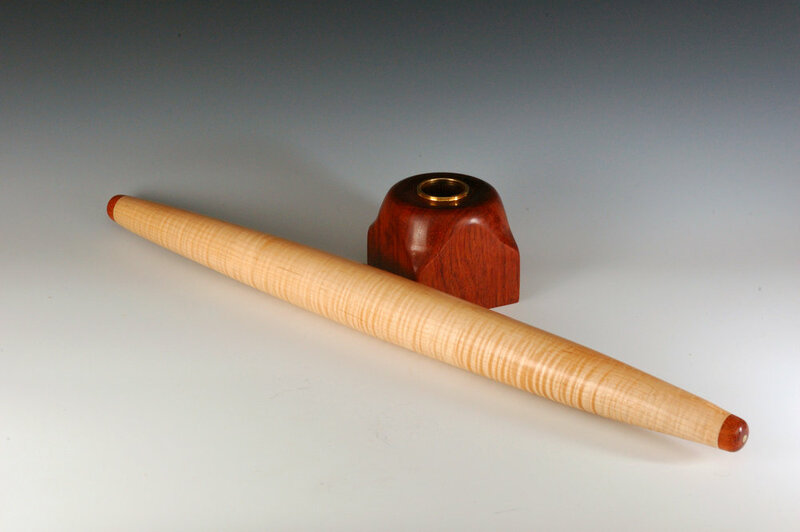 The Traditional Roller, like the one your Grandmother has, is made with handles on both ends. The handles either are an integral part of the flat, or they rotate freely. Both are available, just let me know which you wish. These are also between twenty two and twenty six inches long, including the handles. They are roughly three inches from end to end on the flat, with handles roughly one and one-half inched thick and three inches long, making the working surface of the pin sixteen and twenty inches. The stand for these is horizontal, holding the pin just above the counter top. In both styles I make them either from a solid, single wood or from pairs of woods matched for their color and working characteristics.